We are huge Despicable me and Minions fans and so we were super excited to find out that Arthur Price had something exciting in store for us. 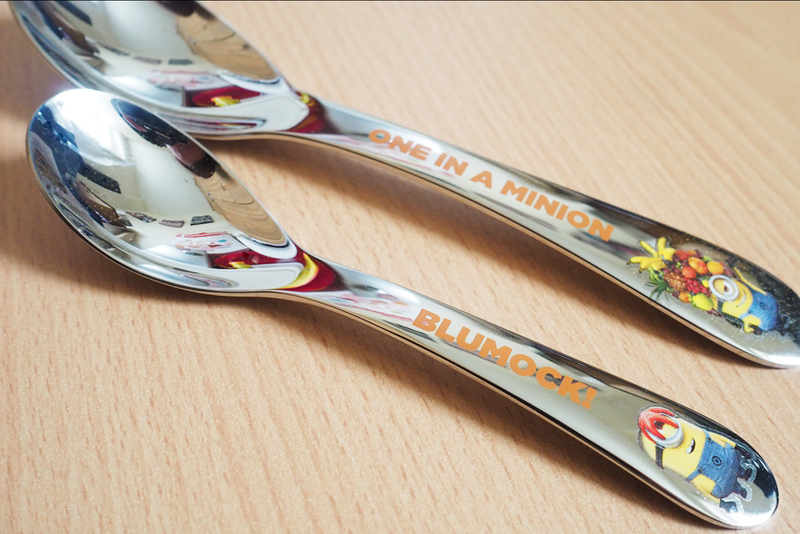 Say BELO to the new Despicable me 3 cutlery set and bone china children's dinner collection from Arthur Price, who also happens to be a huge Minions fan! If you haven't head of Arthur Price before lets me tell you a little about them. Arthur Price is a family owned business that started in 1902 making and supplying high quality cutlery and dining sets to places such as department stores, airlines, cruise ships and some of the finest hotels. While keeping with the quality and standards of their ranges, the company full of adults decided to take themselves back to their childhood and make something special for children. This is when they designed the Despicable Me Collection which we got sent to review. In the collection we was sent there was a lovely set of cutlery which was from the Expressions Set and a bone china breakfast set which came as three pieces, a mug, plate and bowl and was from the Sea of Minions Set. 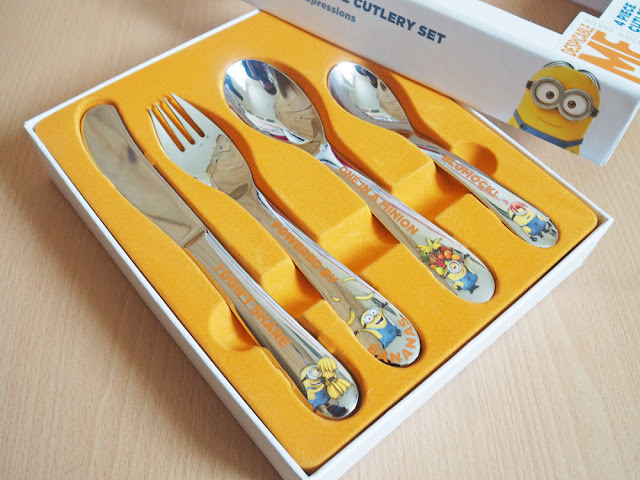 All the items were featuring the loveable minions and presented in wonderful Despicable Me presentation boxes. My first impressions was WOW, the cutlery was so shiny and of such good quality. In fact they are so shiny you can clearly see me taking the photograph in the reflection of them haha! It was great to see the little minion characters with expressions on the bottom of them which just makes them super fun for kids. Made of the 18/10 finest stainless steel you can just see how perfect they are. The breakfast set was so.. well... yellow haha. I mean the design on it was brilliant. It was just a Sea of Minions all on a plate, all peering from behind each other with there fun faces. It was just what any minion fan would love to see. Again you could tell from holding the plate and bowl that it was great quality and lovely china. As for the cup, I thought it was adorable. Such a perfect size for a child. It was so nice to own a lovely set for my daughter to be able to use. Lily was so so so happy and excited to see Minions. We got them just after lunchtime and Lily wanted them straight away. But I told her we had to wait until dinner time. I realise the set is a breakfast set, but I don't think Lily could have waited for the next morning. She was asking for them all day until dinner time. So when it came to dinner time I prepared some dinner for Lily on her Minion plate and filled her cup with juice. I placed her knife and folk down before her meal came out so she could have a good look at them. She was super impressed to have such grown up looking cutlery. 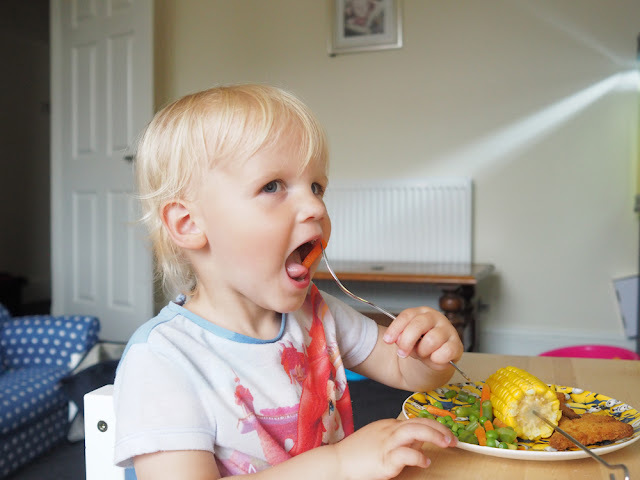 The folk is quite sharp but luckily Lily is really good with her eating now and so I didn't worry about her using it. Its actually great for her to own a sharper folk as some foods she gets fed up with not being able to stab. The knife isn't sharp but is strong enough to do a really good job at cutting through foods. Lily has never managed to cut something up before but with a little help from me she did. Lily was really impressed with her plate and she just loved revealing minion characters as she was eating. She was able to use her mug really well. Although it is made of bone china. It is very light and she had no problems holding it or putting it to her mouth. 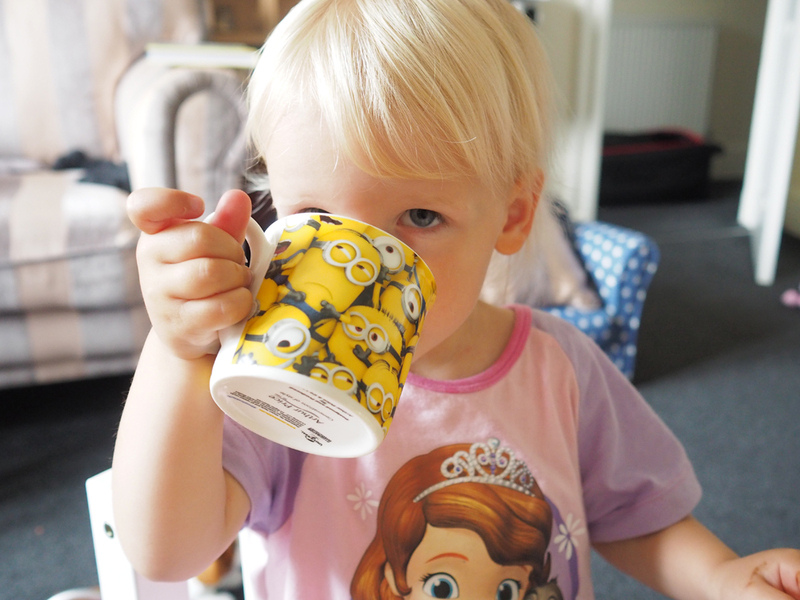 She was really impressed to have a mug that was just like mummies. Expect hers was better as the design was full of minions. 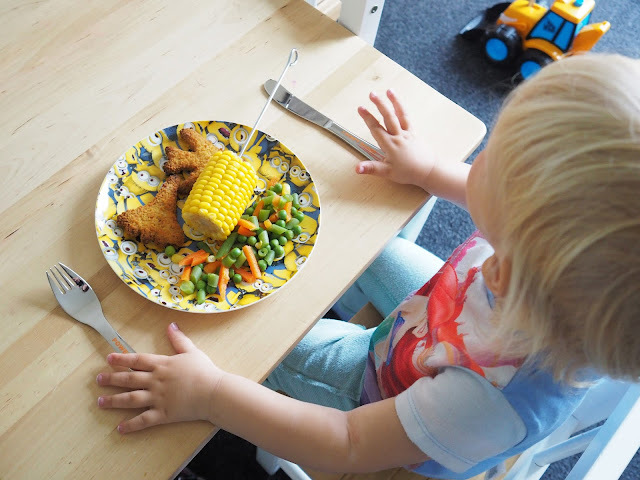 Lily ate pretty much most of her dinner this night and so I think the fact she had this super cool plate and cutlery to use really encouraged her. 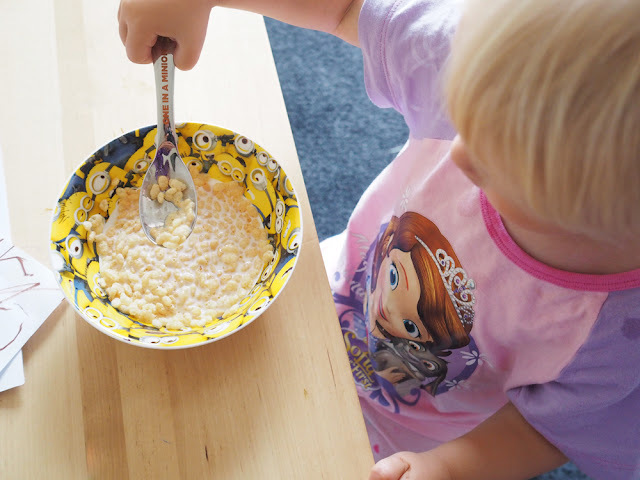 The morning after I gave Lily her cereal in her new minion bowl. Again she was super excited to see minions and ate all her breakfast up. It is really nice for her to own such a lovely set and feel more grown up eating from a real plate and bowl using a real knife and folk. Only child sized. I was really impressed with this set. It put a big smile on Lily's face and has been used lots of times now. I would love to only use it for special occasions as it is that nice. But Lily just loves it so much I can't resist letting her use them all the time. We did have one problem though and that was with cleaning them. I did notice that we must not have been gentle enough with washing up as some of the lettering on the knife had started to scratch off. So my advice for washing these is to be gentle and wash with a soft sponge. The four piece cutlery set and bone china breakfast set both retail at £24.95 and have a 15 year guarantee. 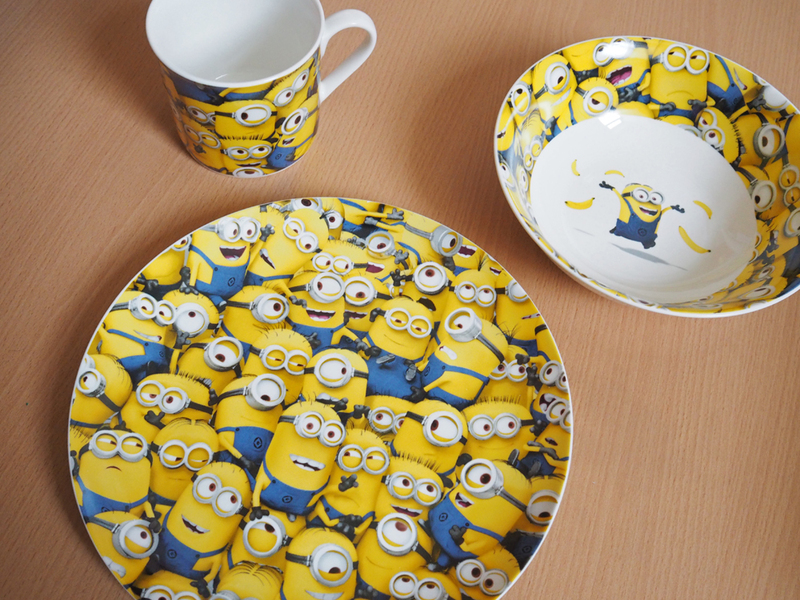 The breakfast set can also be bought separately with a starting price of £8.95. 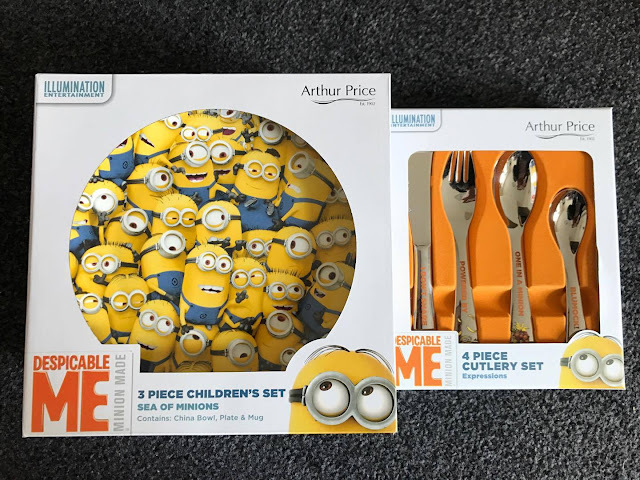 To see the full range of Arthur Price or to purchase your Despicable Me sets visit the Arthur Price Website. Are your children Minion Mad? Would they love this set? Not seen any of these movies, but my daughter somehow knows who Minions are. 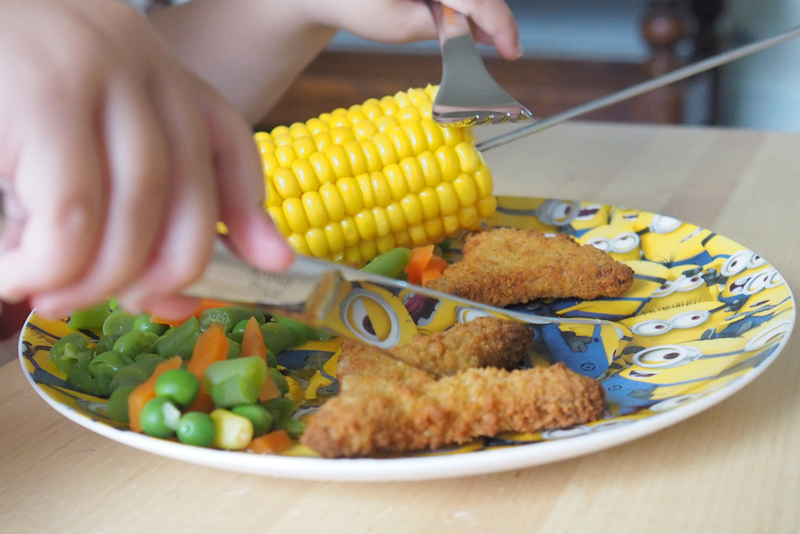 These are lovely, perfect for little kids, I'm sure that they would make any meal time more fun. They are not Minion mad, they do like them, but favour other characters, etc. Great crockery, saddened in regards to cutlery design pattern coming off in wash. Yet cutlery seems great for encouraging independence, supporting Self Esteem, etc. 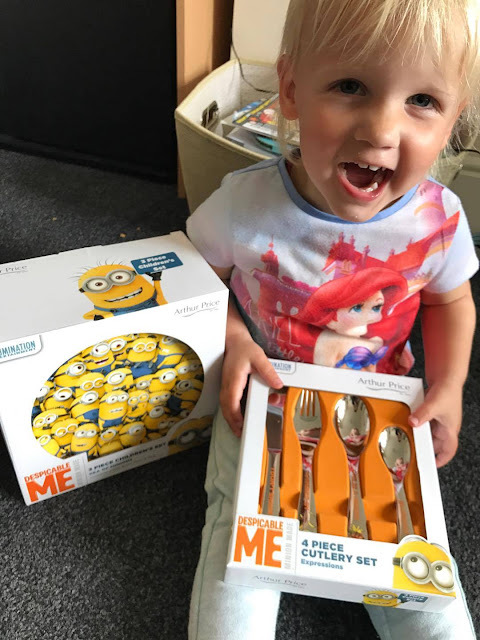 As it seems Lily was delighted to have her own " grown up" set of crockery and cutlery. A healthy balanced diet is so important, that these products supporting child development, assisting in building Self Esteem, etc :- Worthwhile considering sourcing such products.